Vail, a 5 pound Doll Face Persian cat, went missing Friday afternoon on Sullivan’s Island in South Carolina. Lindsey, Vail’s owner, say the she ran off after getting spooked. 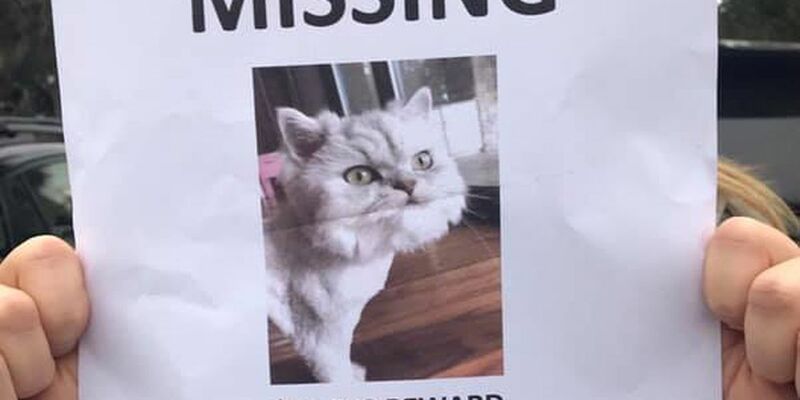 Like many cat owners, Lindsey is offering a reward for the missing cat, but unlike many rewards, this reward is $10,000. Hopefully Lindsey will get reunited with Vail so if you live near Sullivan Island, please look for Vail, who may be unfamiliar with the outdoors and help out a fellow cat and cat owner. To learn more about the $10,000 reward for a cat, click here.